Perhaps like us at the moment you are considering getting a rowing boat what with all the rain we have been having. But I suppose, looking on the bright side, it does give us time to craft as we can’t spend too much time in the garden. Speaking of the garden, we have taken this as our theme for the next set of programmes on Monday. We have, as ever, some lovely new stencils featuring flowers and trellis and baskets and we have some new Art Stamps for you featuring the English Countryside, flowers and nature, which we hope you will enjoy. We are going to be using these with some new inks so the results are very colourful, as it should be for summer and the garden. Our Lisa is on holiday, so it’s me and Gwen holding the fort and our Gwen has some amazing new techniques to show you. She has been teaching for 20 years or so and has a completely different take on things, which is great for getting the creative juices flowing. 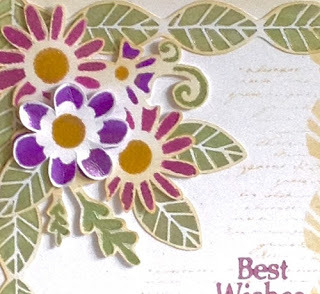 In contrast to inks, stamping and stencilling, I am going to be taking it back to basics with a twist and showing you how to do some really detailed stuff with Sparkle Medium. 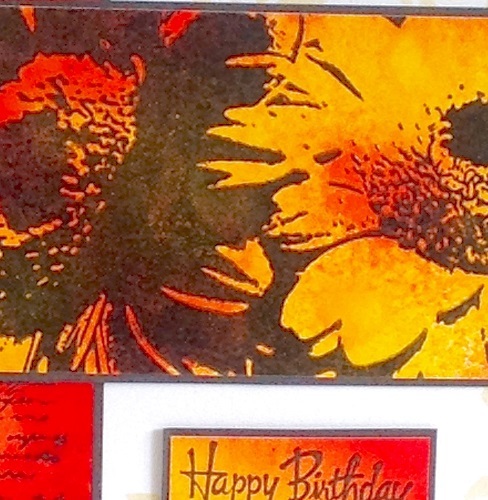 Lots of you ask me at shows how to separate colours so I will be sharing my hints and tips with you. 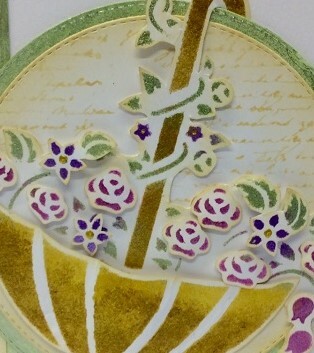 I will also be showing you how to keep your medium soft and pliable and discussing how to use it with die cuts. 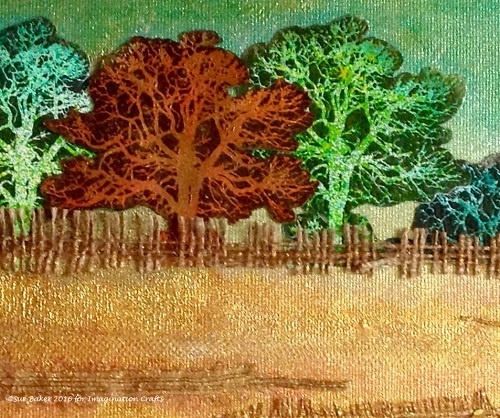 You have been telling us how much you have enjoyed having a go at a bit of mixed media on a canvas featuring the Seascapes from the last program so I have decided to use the beautiful Oak Tree from the new Art Stamps featured in the programme and use it to show you how to produce a landscape this time. 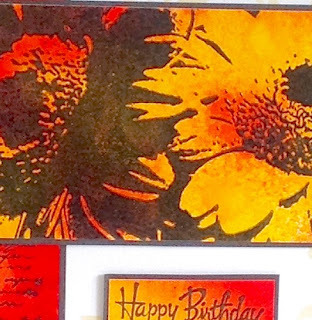 Starlights are perfect for creating quick easy backgrounds that blend together really easily and quite honestly, from there, it is really straightforward. So why not give it a go and let us see the results? As you know, we love to see what you make, after all that’s why we all love to share our ideas and projects. Kirsten has asked me to do a step by step on the canvas for our blog so we will let you know when it is uploaded. Looking ahead a little, we are planning something completely different for the up and coming, (dare I say it, Christmas shows), next month. We are going to start adding all sorts of new products and techniques to our portfolio. This is a big departure for us, but we are very excited & looking forward to it enormously. I know lots of you are starting to craft differently and some of you have been decorating, glass, ceramic, using fabrics and mixing media together for some time. With this in mind we are going to start mixing it all up with some really exciting new products. We also thought you might be getting a bit bored of all of us and we wanted to inject a bit of youth and vitality into the team so we are going to hopefully introduce you to a very new member after she has had her screen test. She is young, with a passion for crafting that is really refreshing. She is just finishing her art and design degree and has a really different take on crafting, so as soon as we can, we will be letting her loose to inspire and entertain you with some different ideas. 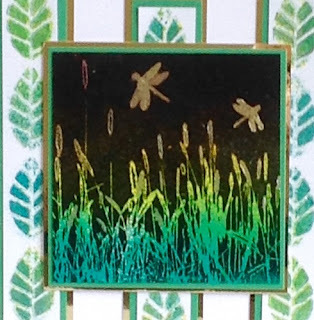 In other news, we are delighted to be taking part in Hochanda's new Masterclass Series and when we have more news about our programmes and the date for the first one you will be the first to know. We know that there are lots of different viewpoints on Masterclass out there but hopefully it will be of benefit to all of us in the future. Let’s see! As always, the samples created for Monday's shows are gorgeous. (Sneak peeks in this newsletter from myself, Lisa B & Gwen). I hope you can join us on Monday, June 20, our programme times are 11am, 2pm and 5pm. Love from Sue and the team.